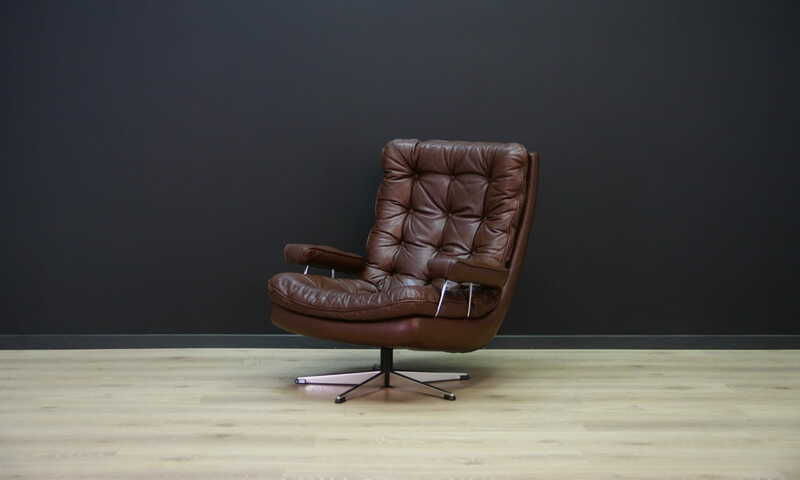 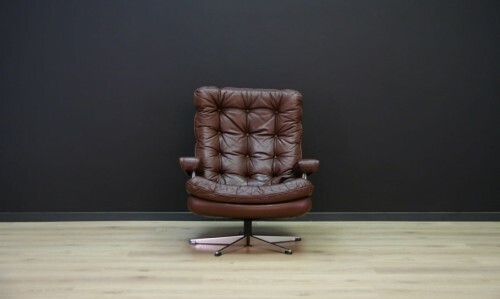 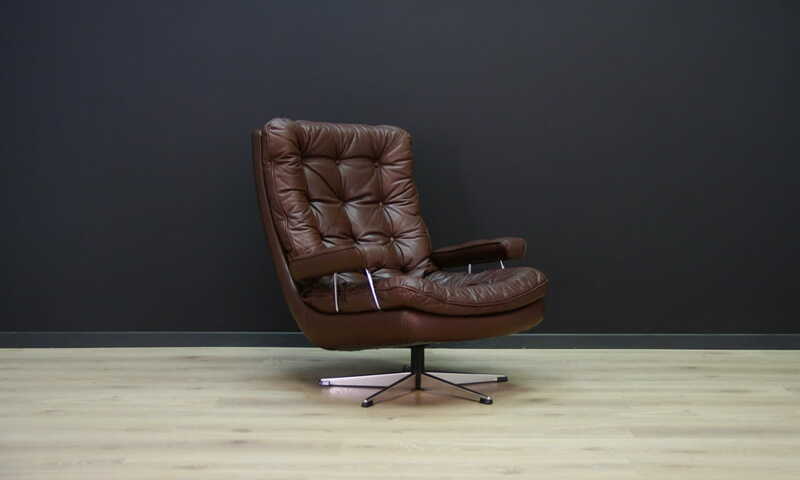 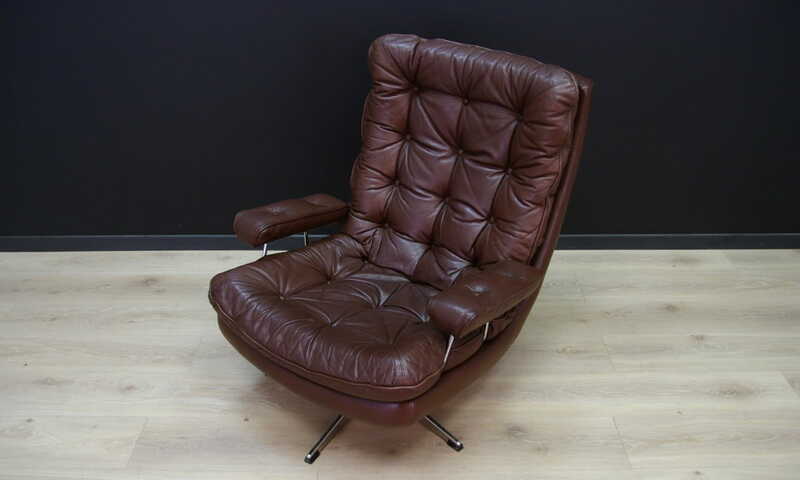 Fantastic armchair from the 60s / 70s, beautiful form - Danish design. 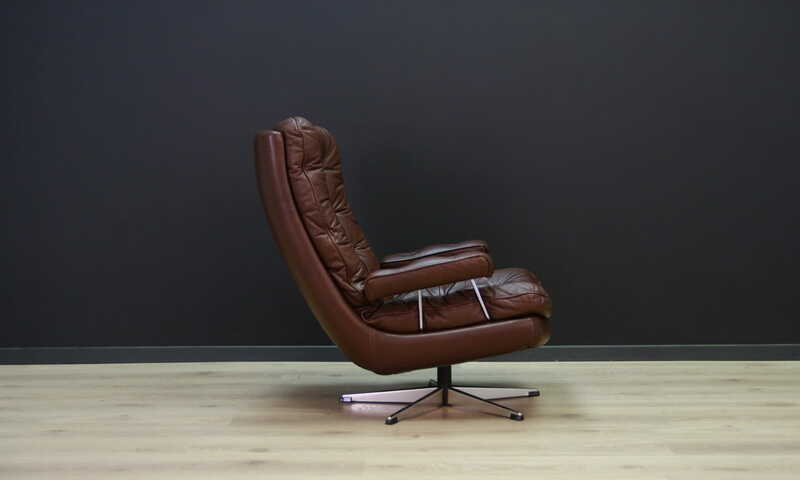 Original armrests. 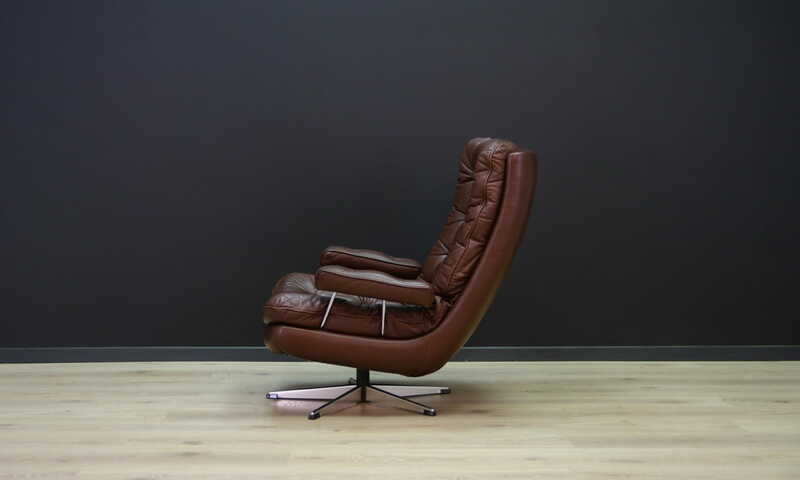 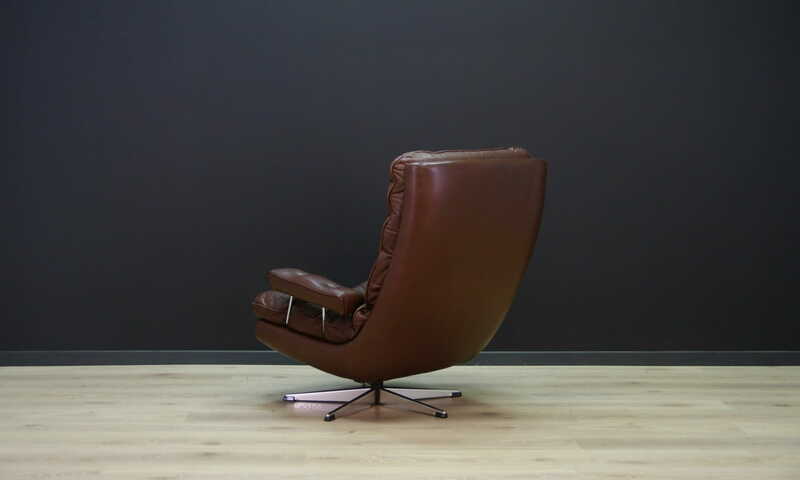 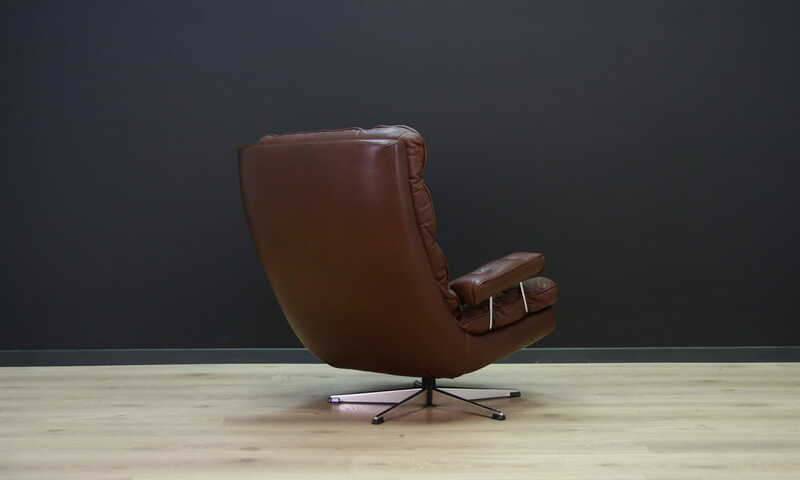 Armchair covered with original leather (color - brown), steel construction. 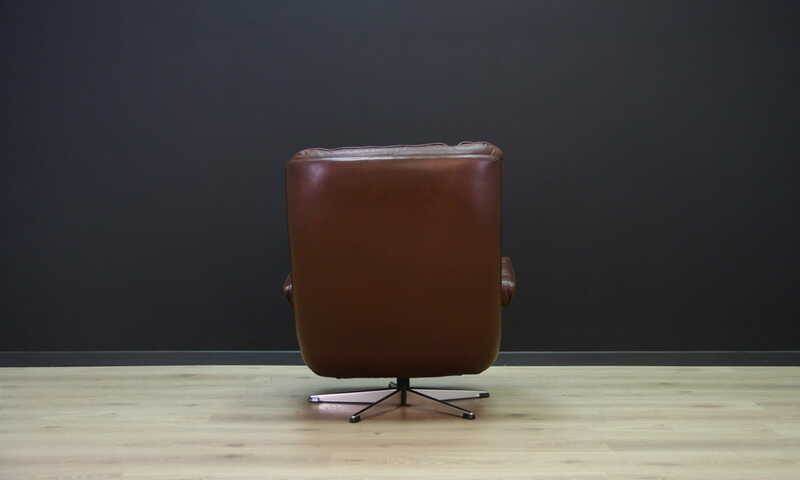 Preserved in good condition (minimal traces of time on the skin) - directly for use.